The reason many synthetic opioids are looked down upon is that they are dangerous and highly prone to accidental overdose. Dosage and administering opioids like U-4 are tricky because usually it only takes the smallest dose possible to feel the potent effects. In fact, U-4 and other synthetic opiates are quite strong and more potent than other opioids. U-4 has been said to have effects nearly 7.5 times stronger than that of morphine. 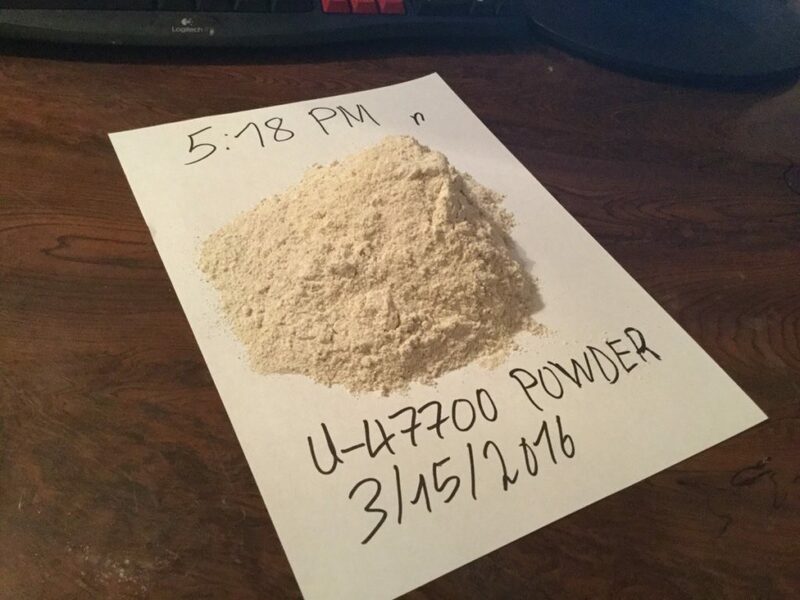 U-47700, otherwise known as “U-4”, Pink, or Pinky, is one of the most dangerous synthetic drugs at this point in time. It was created by a pharmaceutical company in the 1970s as a potential alternative for morphine and painkillers for patients after surgery. Creators of U-4 believed it would act as a less addictive opioid for patients in need of pain relief. However, it was never approved by the FDA for medical use and therefore become known as a research substance. From there, China became the leading producer and distributor of U-4 “Pink.” Drug traders continued contact with China to continue obtaining this drug in the U.S. The biggest downfall which led this drug to so many users’ accidental overdose deaths was that it wasn’t regulated or placed on a Schedule in the United States for several decades. Since there was no view of this substance as being illicit, it was easily accessible but not really familiar as far as dose and strength went. Finally, it wasn’t until the end of the year 2016 that U-4 placed as a Schedule I Substance — meaning its potential for abuse is very high, with no current studied medical benefit. Schedule 1 drugs in the United States are illegal and known by the FDA as potentially harmful substances. Is U-4 Legal in the United States? To date, U-4 is still considered an illegal substance in the United States. But because it wasn’t even brought to the attention of the FDA or classified as a Schedule I until a few years ago, many legal officers aren’t very well familiar with it yet. Some studies show that the FBI wasn’t even aware of U-4 as a substance until 2015, which was barely one year before it was classified as dangerous. Most U-4 “Pink” purchases happen through the dark web of the internet. 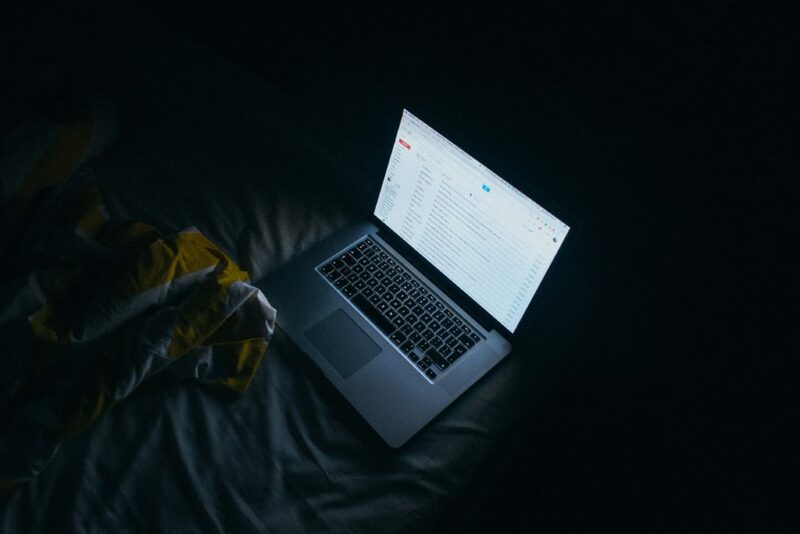 The dark web is an untracked area of the internet where only a rare niche of people enter to partake in illegal activity. U-4 is sold in a white or pink powder form, hence the nickname “pinky”. It can also be sold in the form of a tablet or pill form, as a disguise to appear the same as any other prescription medication. Other illegal drugs are bought and sold across the dark web every day. The use of this method of buying and selling drugs can be especially risky, as many users who buy the drugs are unaware of where the drugs come from, what they’re really made of, or how the effects will take place overall. What is U-4 Used For? There are no known professional or medical uses for U-47700 at this time. Most hospitals will use morphine or other opiate drugs to treat severe pain for patients in need of short-term relief, for instance after an accident or major surgery. U-4 is still considered illegal and highly addictive, so it is therefore not seen readily in the medical realm. Why Do People Take U-4? What are the Dangers of this U-4 Drug? 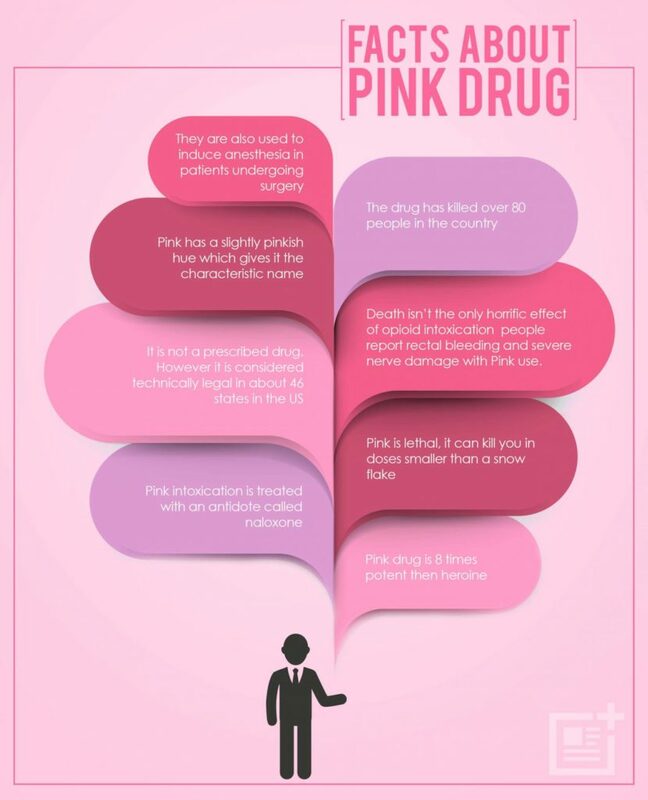 There are many dangers we have seen from the U-4 “pink” drug, most of all being the potential for quick but accidental overdose. According to the National Institute on Drug Abuse (NIH), currently, nearly 50% of all drug overdose deaths are caused by some kind of synthetic opioid. Of opioid-specific overdoses, almost 25% are from synthetic versions of research chemicals or “designer” drugs similar to fentanyl and U-4. The trickiest part about U-4 the drug is its dosage. There’s no standard “dose” for this substance because it is so unregulated and untracked. If you don’t know what exactly is in a particular substance, how are you supposed to know how much to take before the outcome can be harmful, or even fatal? This is precisely why we strongly advise people to stay far away from U-4, synthetic opioids, and illegal synthetic drugs in general. You’re basically playing Russian roulette with substances you’re putting in your body. Even with only one tiny taste of a certain kind of synthetic opioid, dangerous effects can take place on the body, including accidental overdose leading to death. The other major issue with U-4 is the elusive method it’s made and then sold. Most of the U-4 pills we now know are in the United States actually comes from China, its primary distributor. The problem with this, though, is that it’s not necessarily made in professional, controlled lat settings. Because of this, there remains a lot of mystery as to what exactly is in these pills. To make matters even worse, due to the fact that the unregulated nature of this substance until recent years, many people try to recreate this substance from home labs or street cartels. As with many synthetic illegal substances, there is a great risk of there being unknown “fillers” inside the drug. Many makers of illegal drugs will often “cut” the batch with questionable chemicals. Cutting the drug will make more product in one batch, enabling the dealers to sell the drug at reasonable rates while it took nearly half the cost to create. With U4, it’s common to find a combination of fentanyl and sometimes even heroin within the drug as well. As if U4 wasn’t dangerous enough on its own, the mixture of heroin and fentanyl cause major depressant symptoms which slow down the respiratory function. The reason U4 is so prone to resulting in accidental overdose is that it dramatically slows down the respiratory system and depresses the central nervous system. When this happens, the user of U4 may feel euphoric, calm, sleepy, and overall profoundly relieved from pain. Because of the reaction of the opioid receptors in the brain upon consuming synthetic opioids, the users’ breathing and heart rate rapidly decrease making them take in less oxygen. To put it plainly, the body functions of a user of U4 slow down so much that they might become unconscious and stop breathing entirely. Does U-4 Show Up on a Drug Test? Most research chemicals such as U4, “spice,” bath salts, and others more known as designer drugs are difficult to screen. Not only are they difficult to identify correctly, but since there are so many unknown and ever-evolving designer drugs and research chemicals, it’s costly to adequately drug test positive or negative. Drug tests do exist for some research chemicals like U4, but they are not readily available to most medical settings or users. Some treatment centers can request special drug test kits for certain designer drugs. However, since they are so unregulated and casually produced, even the drug tests a lot of the time cannot pick up an official reading. Since U4 is a synthetic opioid that mimics the effects of regular opioid drugs, side effects are similar. Many times, users of U4 face even stronger and more intense side effects compared to opioids. Both synthetic and nonsynthetic opiates are no joke: they each pose a high potential for misuse and abuse. Additionally, they both can cause severe withdrawal symptoms. Are There Any Safer Alternatives to U-4? There’s no precise “magic alternative” to drugs like synthetic opioids. Depending on the person using U-4, there is a list of reasons that vary in finding an adequate replacement. Is the person taking this drug for pain relief? For the recreational euphoria, it brings? Or is the person jumping from substance to substance, trying to find a cheap, quick fix for an already pre-existing addiction? As with anything concerning substance use and physical reaction, the safest bet would be to talk to a professional or a doctor about finding a safer alternative to these “research chemical” drugs. Of course, there are options, but every person will require different treatment. The most important fact to remember is this: the goal is to overcome dependency on drugs, not to shuffle from one addiction to the next. The root of the issue becomes resolved by facing the reasons for addiction. If you or someone you know needs help in recovering from a drug abuse disorder, reach out for help today.